Well I must say I'm in love all over again with the ocean. 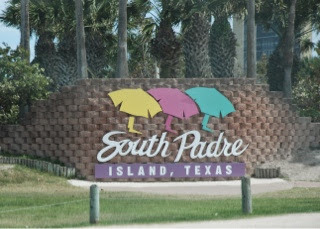 If I don't return I'll be living on South Padre Island. Is it just me or does the entrance sign project a feeling you want to hold on to? 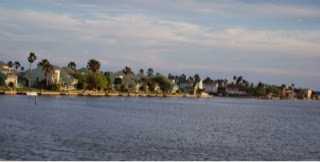 And it wasn't the houses, although I took a lot of house pics. I don't even like houses that much. But again something about this whole place just gets me. 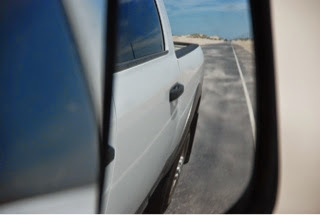 Look at the sand on the roads... And the cool sand blowing in the tire picture. Just like our snow on the road was my point! Does anyone know about my compulsion to own a VW van? Well I found one! Who knew you could mount one on the top of a school bus. Must be the penthouse suite. So more about our time here. We spent a week in the area. 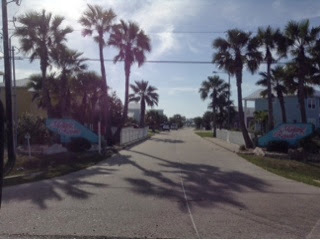 Five nights at Mustang Island State Park and a couple of nights at Serendipity RV Park in Palacios. This far one of the best stops so far. Taking the time here to walk on the beach every morning and night, slow long days, great food (cooking and eating out), warm ocean water lapping at your feet, nothing was wrong, everything was right. 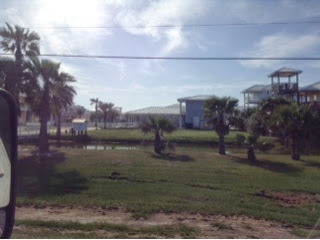 Mustang Island is part of Padre Island. 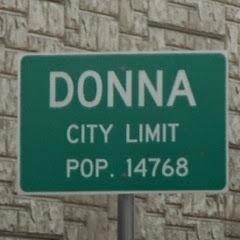 We also took a day trip and drove to South Padre Island, and the city of Donna, Texas (for obvious reasons). 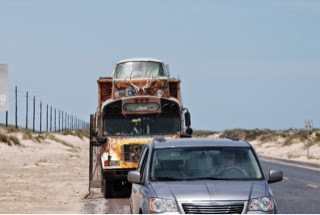 There was quite a difference between the south and north parts of Padre Island. 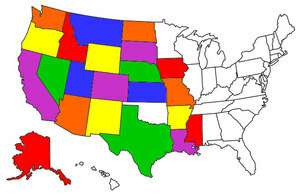 For starters, the south appeared to be more affluent, the houses along the north were large, the south ones larger. Yards, acreages to us, even larger. Weekend homes, summer homes or some time escapes? Or do they live there? Let your imagination decide. 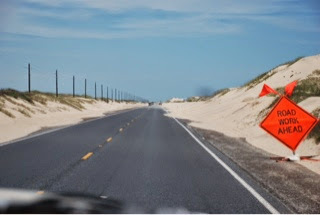 The sand on the south was unexplainable. This is a picture of me on FaceTime with Emerson. 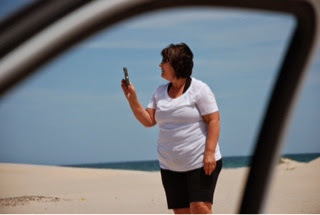 I just had to show her the sand. And what was to be a filler stop at Palacios turned into a great stop. Probably the friendliest group do winter Texans yet, happy to share their group happy hour with us, proud of the park they spend their winter in, and as much in love with being on the water as us. 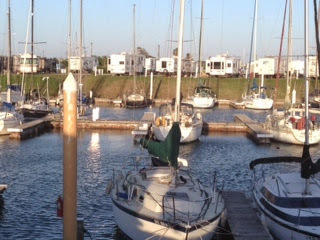 If only I was a quilter and Don was a fisherman, we could be here! The wind has been following us across Texas, but I think it has helped us deal with the heat better.